Leveraging Algorithms to Reveal Hidden Structures and Improve the Quality of Service in Complex Urban Transit Systems. Sustainability. Environmental impact. These are terms that have moved from the fringe of corporate concerns to the lips of CEOs, share­holders, and operations managers. It’s good business to be good stewards of the earth’s resources and natural systems–and leaders and administrators get the concept. Companies strive to anticipate and meet compliance requirements for new regulations. They recognize that measuring and managing their waste and emissions not only opens the doors to greater efficiencies, it casts a positive light on their organization’s reputation and products–creating a competitive advantage for those who pioneer innovative and successful methods and develop best practices. 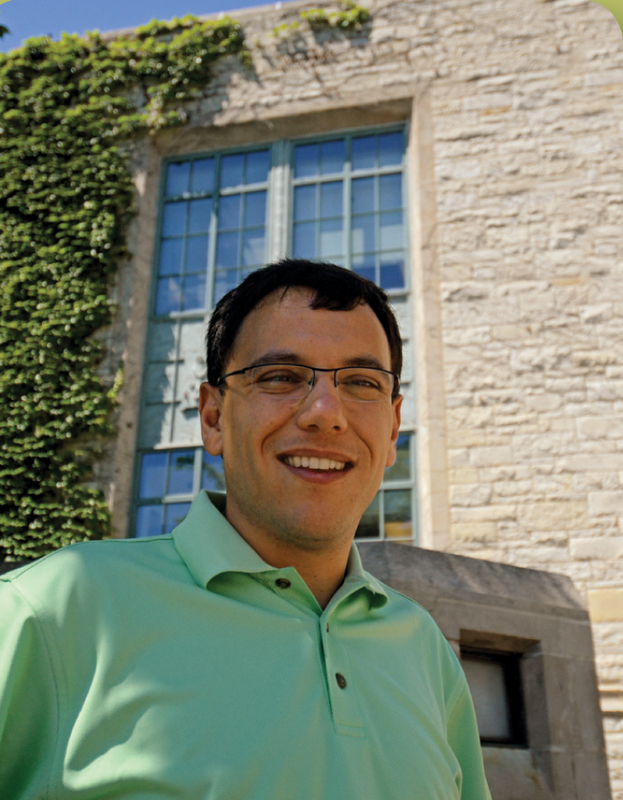 Pablo Durango-Cohen, Associate Professor, Civil and Environmental Engineering, is principal investigator on this CCITT project that envisions an online platform to estimate truck emissions based on economic models of marginal emissions contributions from individual shipments across the supply chain. Durango-Cohen anticipates that this online tool will represent an improvement over existing methods and will pave the way for transport operators to address and embrace emissions reduction efforts. Such efforts can take the form of redesigning warehousing and distribution net­works or may include adjustments to equipment specification and resource allocation. While the initial focus is on trucking operations, the approach may be applied to other modes of freight transport as well. For corporations with extensive and high-volume distribution systems, emissions from transport operations constitutes a significant contributor to their environmental impact. Yet the commercial freight sector of ground transportation has not received the kind of dedicated research and frame­work development needed to make the estimating of emissions a practical, reliable, and valuable tool. How much emissions are freight operations really putting into the atmosphere? In the ongoing effort to quantify and reduce shipping operations' carbon (and other pollutants) footprint, readily available data can be harnessed to provide reliable and meaningful numbers. This information, in turn, will support strategic shipping and supply-chain decisions that can positively affect emissions totals. Properly presented, these numbers will also facilitate consistent performance comparisons, company-to-company, year-to-year. With research assistants Madison Fitzpatrick (PhD candidate) and Yidan Luo (Masters Candidate), Pablo Durango-Cohen's current transport emissions project is extending a research partnership begun four years ago with the global company, Philips. As with previous projects with Philips, the challenge is in making a rigorous processing platform to take advantage of imperfect but very useful data: Create a practical tool that sets up an attractive "least path of resistance" for businesses to follow toward more responsible operations. The team is moving the method­ology forward and looking at the implemen­tation challenges that will follow. 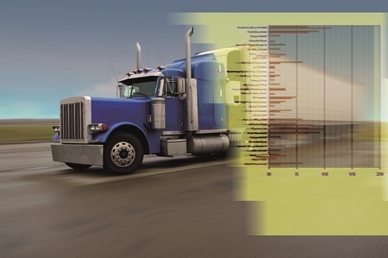 CCITT's Freight Transport Emissions project emphasizes practicality and ease of adoption. The protocols and paths for connecting to industry numbers, and the software and online implementation will utilize and be validated with data from the transportation operations of Philips—a Fortune 500 corporation with worldwide product distribution in lighting, lifestyle (home electronics, personal devices), and health care equipment and supplies. Durango-Cohen and his team expect this project, when completed, to lead to additional incremental steps in support of reducing transportation’s environmental impact through low-cost, smart methods of inquiry and reporting that take advantage of existing data sources. 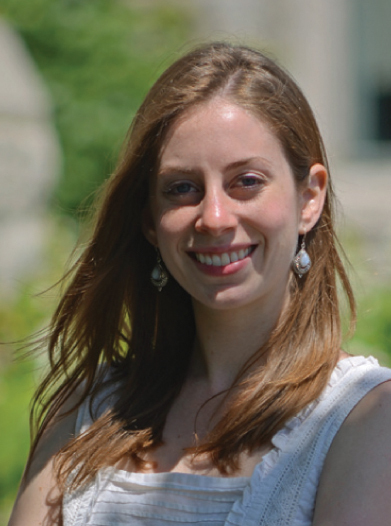 Madison Fitzpatrick, is a doctoral candidate in the Transportation Systems Analysis and Planning program in the department of Civil and Environmental Engineering. Fitzpatrick grew up in Atlanta, GA. She completed her under-­ graduate studies in Civil Engineering at Northwestern in 2010. Current research focuses on statistical modeling of travel behavior and its applications in the analysis of trans­portation policy, with a particular interest is in policies that promote sustainable travel in cities. "Trans­portation connects engineering with economics, politics, and many other disciplines." Madison observes. Her lifelong engagement with music continues as she plays bass with the NU Philharmonia and dances with the NU Ballroom, Latin, and Swing Teams. 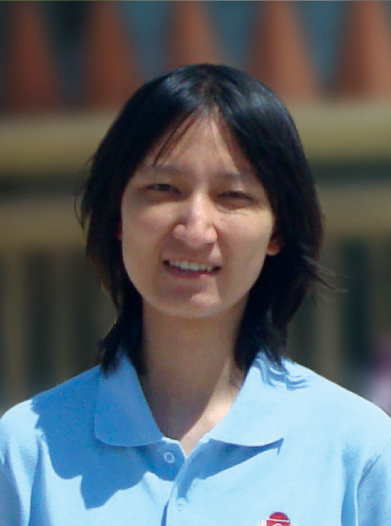 Yidan Luo, is working toward her Masters Degree in Civil Engineering. A native of Beijing, China, Yidan received her Bachelor’s degree there and came to Northwestern to study transportation systems analysis and planning. Commenting on the motivating impulse for her studies, Yidan says: "I found that many places in the world had finished the infrastructure construction, and management is becoming a more serious issue." Pablo Durango-Cohen’s interests center on infrastructure manage­ment technologies and operations. His face lights up and he speaks with greater authority and urgency at the mention of transforming existing data into new and practical tools–new perspectives. In the transportation industry, as well as in other fields, useful data is often already available, being collected in some legacy form but left untapped for its potential to provide insights into redesigning and improving operations and systems. Consistently, Durango-Cohen’s goal is to make it easier for companies to evaluate and lower the environmental impact of their operations. Make tools that are accessible. Encourage, in a small but very smart way, the adoption of higher standards of sustainability in transportation and infrastructure systems in the real world. Professor Durango-Cohen has been published extensively in the areas of transportation and infrastructure systems control. He has also presented at numerous international transportation conferences and workshops. The configuring and fine-tuning needed to reach optimal results in any complex endeavor require answers to some straight forward questions: What are the parts of the system? How are they configured? How does each part really behave? To what degree and in what ways do these parts affect each other and impact the system’s intended performance? How can the parts be brought into balance, into an optimal configuration? How can the system be adjusted to meet varying conditions? As our understanding of complexity continues to mature, new means of probing complex systems are being developed, resulting in fresh answers to these questions. Dirk Brockmann, Associate Professor, Engineering Sciences and Applied Mathematics, has taken on the challenge of facilitating new answers —new ways of seeing heretofore hidden structures and relationships—that will enable urban transit systems to improve their performance and increase their practical capacity to serve additional riders. Essentially, the goal is to increase ridership capacity through the application of insights rather than through the brute force response of adding new routes or adding more trains or busses to an already crowded and costly system landscape. Brockmann’s team, including graduate students Olivia Woolley-Meza and Isaac Velando, are applying mathematical algorithms recently developed in Northwestern’s engineering/math lab that are based on an emerging area of computer science work known as network tomography–the visualization and analysis of a complex network’s internal characteristics by means of analyzing external end point or node data. Shortest path tomography and network “shortest path trees” represent computing software tools for extracting essential and salient features from available large scale network data. They can identify a network’s hidden skeleton that shapes its stability and performance. This CCITT sponsored project is giving Professor Brockmann the opportunity to extend SPaTo tech­nology to the urban transit system—a critical urban function in need of 21st century approaches. The team is creating a user interface that bridges the gap between local and global network perspectives by providing a novel view of an entire transit network from a manager’s or controller’s specified perspective. 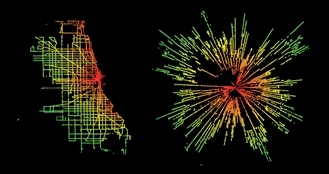 Its capabilities will detect and visualize hidden structures in complex, multi-scale and time-dependent transit systems. The anticipated software application will allow transit administrators to recognize problem areas and opportunities for improvement in the effective flow of riders throughout the system. Implicit transit-related geo­graphic subdivisions and de facto boundaries —all effecting the flow of riders—will suddenly become visible and can then be addressed through modifying mode-specific or time-dependent “parts” of the complex network. The interface will make it possible to model changes within the system. The consequences of adding/removing service to specific locations or adjusting routes can be simulated and tested interac­tively and without resetting or restarting the simulation. A prototype version of the software is up and running in Brockmann’s lab and has been applied to multi-scale, complex networks in various hypothetical settings. Work is underway to bring the interface and coding to pilot study readiness—a sophisticated, scalable and platform-independent computational software application tailored to urban transportation and transit systems, and in compliance with transit data specifications such as the General Transit Feed Specification (GTFS) that defines a common format for public transportation schedules and geographic infor­mation. The pilot study and application bench­mark is being developed in partnership with the Chicago Transportation Authority (CTA), where the rubber meets the road (or the steel meets the rails), in one of the United States’ largest metropolitan areas. The April 18, 2012, NUTC workshop consisted of two panel discussions, the first focusing on Infrastructure, Policy and Regulatory Hurdles and the second on EV User Demand, Impacts and Constraints. Dr. David Green, Corporate Fellow, Oak Ridge National Laboratory Senior Fellow, Howard H. Baker, Jr. Center for Public Policy, U. of Tennessee, wrapped up the full-day event with the feature presentation: Why Electrify? A New Paradigm for Transportation’s Energy Transition. electric vehicles-input from IGo Car Sharing. The Northwestern University Transportation Center (NUTC) and CCITT, in conjunction with The White House and the U.S. Department of Transportation, hosted a White House Round­table featuring Northwestern alumnus, The Honorable David L. Strickland, Administrator of the National Highway Traffic Safety Administration (NHTSA). Administrator Strickland discussed Safety Without Borders: Raising the Bar on Traffic Safety Across the Globe Through Data, Research, and Collaboration on March 29 on the Evanston campus. NUTC faculty affiliate Ian Savage led a discussion with Administrator Strickland with over twenty professionals, faculty, and students, including guests from Coca Cola, the Illinois Tollway, Chicago DOT, the National Safety Council, Illinois Operation Lifesaver, AAA Chicago Motor Club, the City of Evanston, and Cambridge Systematics. The interactive dialogue covered topics ranging from distracted driving, rail crossing safety (interactions between roads and rail), driver and pedestrian safety, and innovations required to transform data into meaningful information and action.